Almost we All know How to Check Balance of own Number by dialing *121#. In information technology worlds Such type of Number known as USSD code of telecoms networks. Now a days in India Everyone using several Network services and most famous are Airtel, Vodafone, Idea, Jio, BSNL, Aircel, Telenor and Docomo. 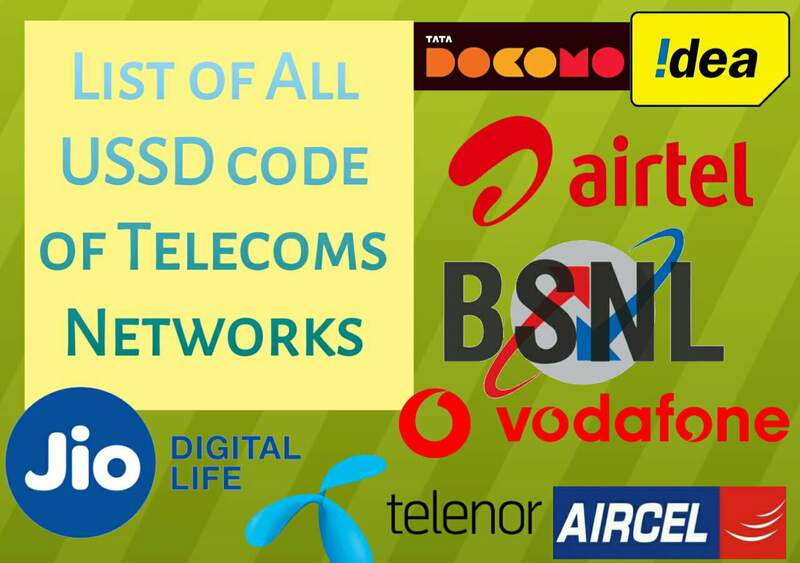 Here the All USSD code for checking all the services provided by the telecom networks. Do not need of memories all USSD code from Here, Just Bookmark this page and Use it on Time to Time. Here the All lists of USSD cods of All famous Network from india. For more option Click "Share" button Below or copy the URL from The Address Bar. ● Like our Face book page + Follow us on Instagram for more interesting Daily Tech Updated & get close to Editor.